I know a lot of you have started school already, and I also know a lot of you have not just yet. We have not. We are now counting down the days, not weeks. I don't know about you guys, but school supply shopping is a daunting task. The supply lists are a mile long. Then there are the "extras" that nobody tells you about, like after school snacks. We are fortunate that we can provide snacks for our girls. Many in our community are not as fortunate. There are many children in not only my community, but yours as well, that will come home from school and not eat again until they return the next day. It is a passion of mine to help these kids every year, not just at the beginning of the school year, but throughout. This year, my friends over at Champions for Kids have teamed up with Walmart to make it SUPER easy to donate to those in need in our area. At one of our local Walmarts, there was a pallet display with great products from Emerald, Kellogg's, Dasani, Powerade and Dole! own kids; luckily, these are all options we normally purchase. I love that Kellogg's Fruit Snacks are made with real fruit and the girls love the Disney fun shapes. The Emerald packs are great for on the go snacking, I also love that they are already in portion controlled packs! Dole fruit cups are a standard in this house. MG is CRAZY about their oranges and this mama loves that they are a nutritious snack and packed in 100% juice. I can't tell you how long I have spent combing over the fruit cup section trying to find fruit cups packed in 100% juice, Dole never lets me down! 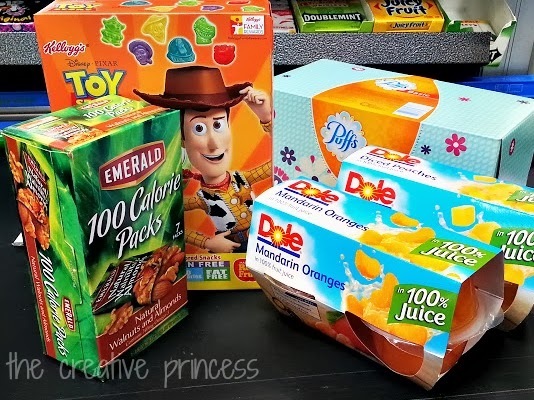 The next time you are out, be sure to pick up a few extra snacks for the kids in your area. 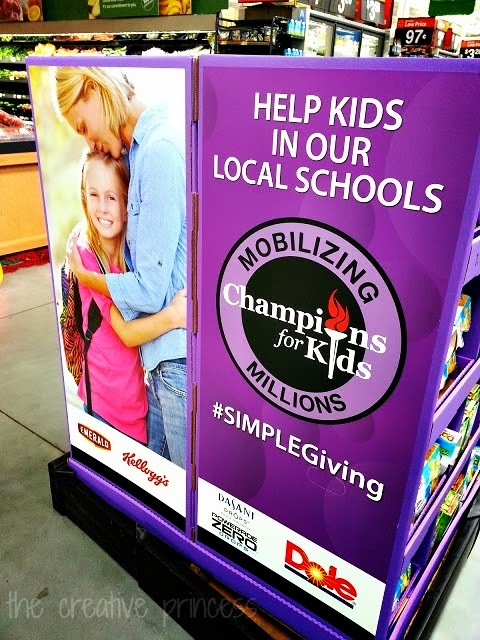 Look for the Champions for Kids donation box near the registers and just drop the goodies in before you leave the store. It really can't get easier than that! I cannot even begin to tell you how amazing just a little extra food helps a child in need. 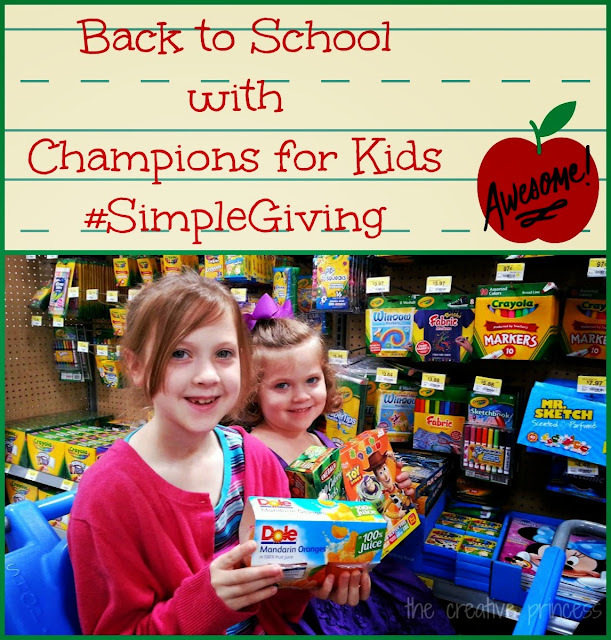 Be sure to follow #SIMPLEGiving on Twitter for more great ways you can help!